After a half-day trip to the town of Mir where one of the UNESCO World Heritage Sites of Belarus is, my BFF and I found ourselves back at Galileo Mall in Minsk. We decided to take a quick break from Belarusian food by going to a pizza chain next to Vasilki. One of the servers handed us two menu booklets in Belarusian. I'm not too sure whether the English counterparts are available, but we didn't ask. For the fun of it, we ordered dishes by looking at the pictures only. I was captivated by the green-coloured cream soup, which I predicted to be due to spinach. 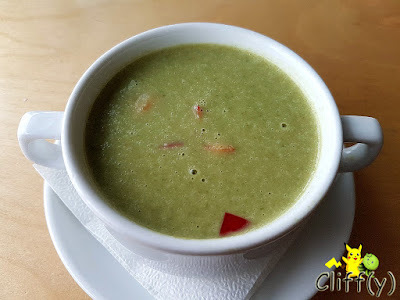 True enough, blended spinach was used in the making of the soup, together with diced potatoes, carrots and onions. It didn't taste as exciting as its appearance, but it was a good start to the lunch. It'd be better if it were to be thicker. 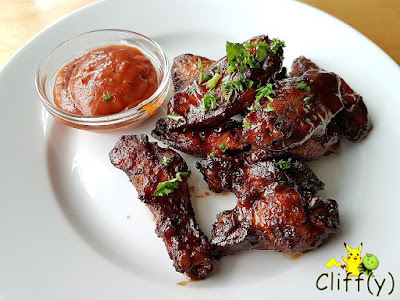 Smothered in dark, smoky barbecue-like sauce that was a tad sweet and a tad sour, the chicken wings were juicy alright. Served on the side was some hot pepper sauce that kicked my taste buds quite a bit, but it wasn't overly spicy. The chopped coriander leaves added colours to the dish. 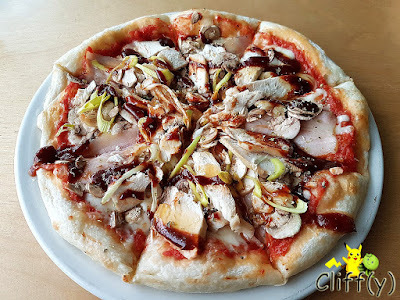 My imagination ran wild when I saw the picture of this particular pizza, guessing that it'd be a fusion pizza of duck slices with hoisin sauce (Chinese sauce made of starch, soybeans, vinegar, etc.). I was, however, proven wrong when I took my first bite. Anyway, I enjoyed the crispy crust of medium thickness. They were pretty generous with the toppings of chicken breasts, bacon slices, mushrooms and leeks. The sauce was slightly different from that used for the chicken wings as it was less sweet and just a tad bitter. 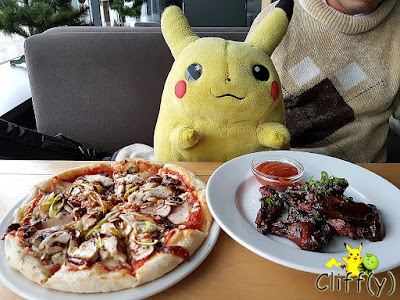 Pika's advice: The eatery serves thin crust pizzas as well. 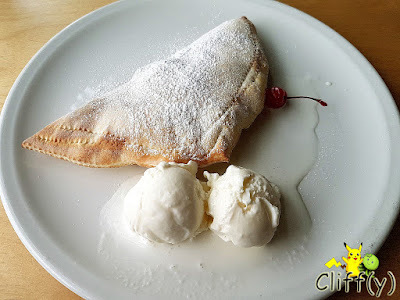 For dessert, our choice fell on the pizza turnover. Not having the slightest idea of the filling, I cut it open with a knife and saw chocolate sauce smearing the white plate, which made me pretty excited for a while until I tasted it. 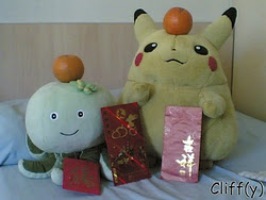 It was sweet, but not rich. Also, to my disappointment, the two scoops of vanilla ice cream were already melting the moment the dish arrived on the table. 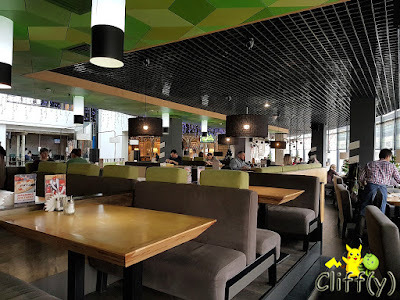 While the food wasn't fantastic, the relaxing ambience during the somewhat late weekday lunch at 2.00pm was great.